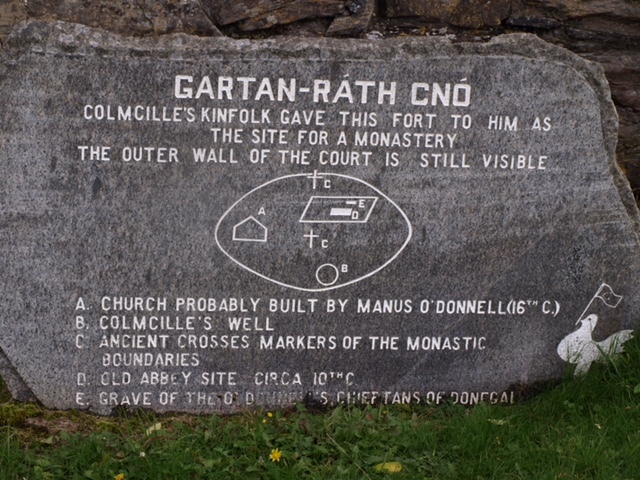 Columba or Columb-Cille, the founder of Iona in the Ulster Kingdom of Dalriada in Scotland, was born of the Pretanic Clan Conall in Gartan, Donegal. Columba had previously studied under Finnian, or Uinnian in Brittonic, at Movilla in Newtownards. According to the Annals of Ulster, Columba founded a monastery at Derry Calgach, the Oakwood of Calgach, in 545, but it is more likely that his relative Fiachra mac Ciarain, who died in 620, was the actual founder. Columba is commemorated at Cnoc Columb-Cille, the Hill of Columba, at Knock in Belfast. 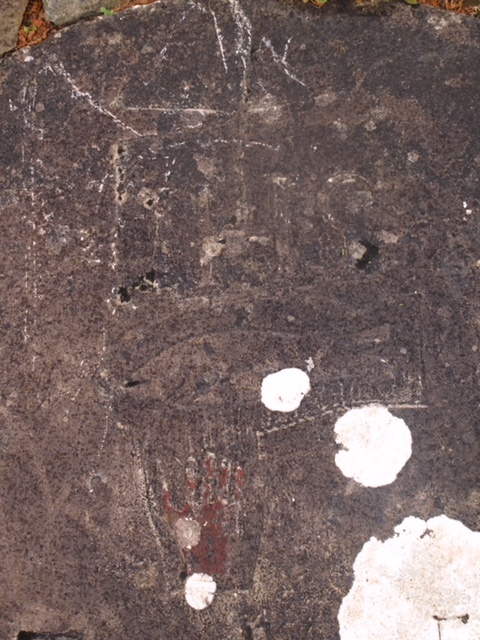 The grave of his kinsfolk, the O Donnells, at Gartan shows the Red Hand of Ulster.